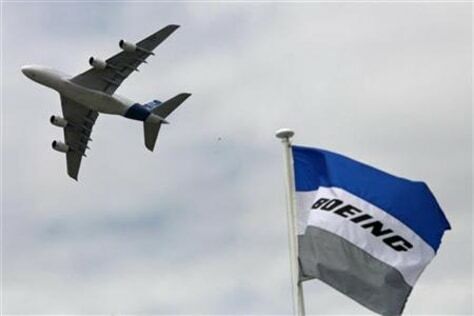 An Airbus A380 takes part in a flying display June 19 three days before the opening of the 48th Paris Air Show at the Le Bourget airport near Paris. Rep. Norm Dicks, D-Wash., says the WTO ruling confirms a complaint by the U.S. in 2004 that shows "all Airbus aircraft have received illegal subsidies and that these have caused material harm to Boeing."